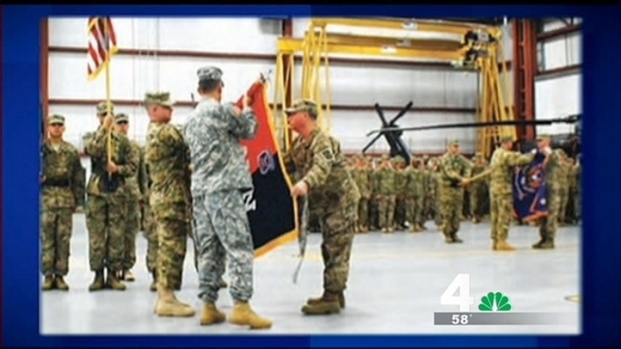 Residents of Fairfax County are being asked to fly their personal American flags in honor of an Army Blackhawk pilot buried at Arlington Cemetery on Monday. First Lt. Robert J. Hess, 26, of Fairfax, was killed last month in Afghanistan after sustaining wounds from indirect enemy fire. He had served in the Army since 2010 and was a graduate of Robinson High School. The request for residents to fly flags in Lt. Hess' honor on Monday came from the office of Fairfax County's Braddock District Supervisor John C. Cook, who has asked people to fly flags from their front doors or porches. "Whatever they would typically do on Memorial Day or July 4," a spokesman for Cook's office wrote in an email to News4's Julie Carey. Virginia Gov. Bob McDonnell ordered U.S., Virginia, and Fairfax County flags to fly at half-staff on May 4 to honor Lt. Hess; however, the county will fly its flags at half-staff Monday as well. "I fly the flag every ay at my house, but it will mean even more" Monday, local resident Chad Dukes wrote on Twitter.